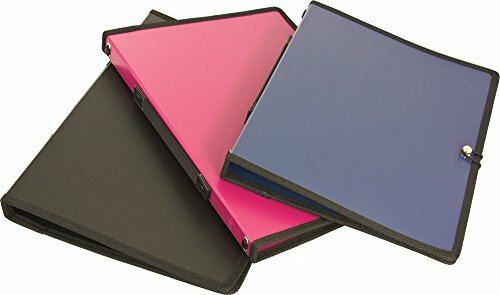 Choral folder made from light and durable polypropylene and can be opened and closed by lifting a loop of string over a rivet - quick, secure, and silent. The spine features a comfortable elastic strap which can be used to hold the folder when singing and carry it easily between rehearsals. Inside you will find 10 taut strings attached to the spine for holding your music, along with large pockets and spaces for a pencil and a name tag.